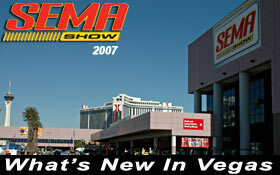 The SEMA Show is the biggest automotive circus of the year. Held every Fall in Las Vegas, everyone who's everyone in the automotive aftermarket heads for the big top at the convention center. Stay tuned for continuing coverage throughout the week!